Core Carrier for Feed The Children, Inc. The Commercial Carrier Journal (CCJ) named the five flashiest fleets of 2018, and we were both surprised and truly honored to learn FTCT not only made the list, but took first place. Feed the Children had this to say, "Innovative fleet graphics can say a lot about who you are as a company. We wanted ours to stay true to the mission and values we work towards every day. When it was finished, we believed the design was special!" for backhauls and when not delivering Feed The Children freight. “As the core carrier for Feed The Children, we are working to help fulfill their mission of providing hope and resources for those without life’s essentials, and their vision to create a world where no child goes to bed hungry,” said Emory Mills, director of safety and driver administration. FTC Transportation’s innovative culture has garnered the small-but-mighty fleet a number of industry awards and recognitions over the years. That innovation also is exhibited in its Feed The Children trailer graphic. 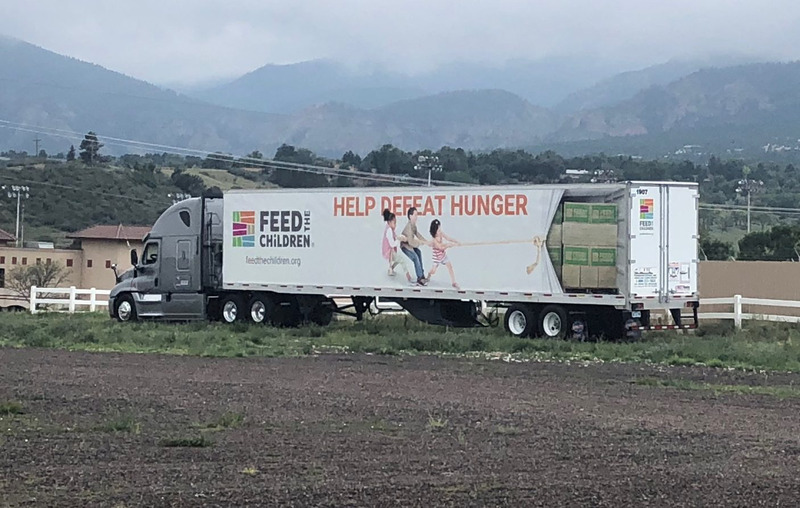 The integration of the “Help Defeat Hunger” call to action and children pulling back the trailer side to expose boxes of food are sure to evoke an emotional response from other motorists.